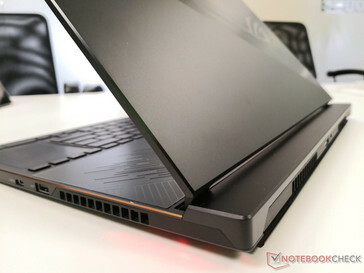 The new "thinnest gaming laptop in the world" is just 15.75 mm thick at its thickest point to be even thinner than last year's ROG GX501. The GX531 introduces narrow bezels and 144 Hz displays to the Zephyrus family with plenty of changes both internal and external. Expect a worldwide launch as early as September. The year-old ROG Zephyrus GX501 will now have a proper successor coming later this year as the ROG Zephyrus S GX531. 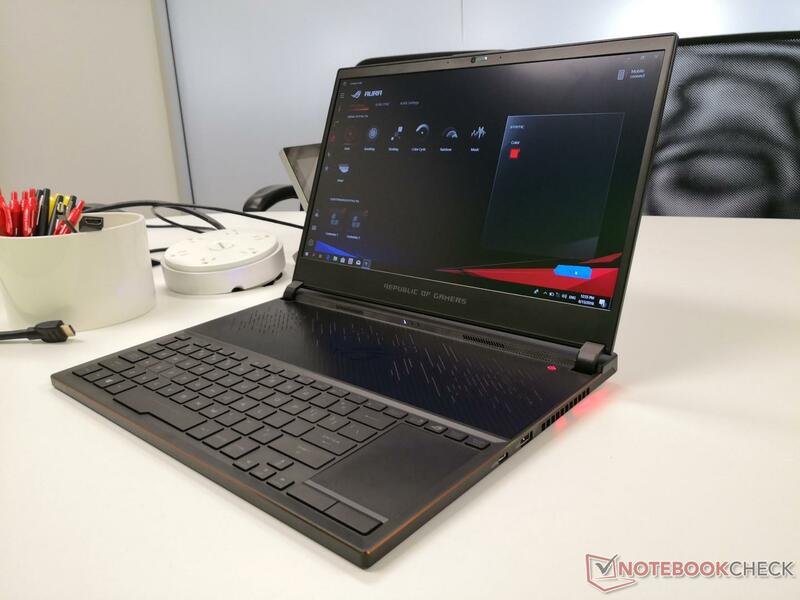 Unlike the Zephyrus M GM501 series that was designed to be in market parallel to the GX501 series, the GX531 will directly supplant the aging GX501. 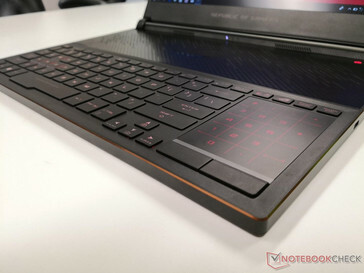 The most obvious and perhaps biggest change from the GX501 is the introduction of narrow bezels to better compete against the MSI GS65, Gigabyte Aero 15X, Lenovo Legion Y530, Razer Blade 15, and HP Omen 15. 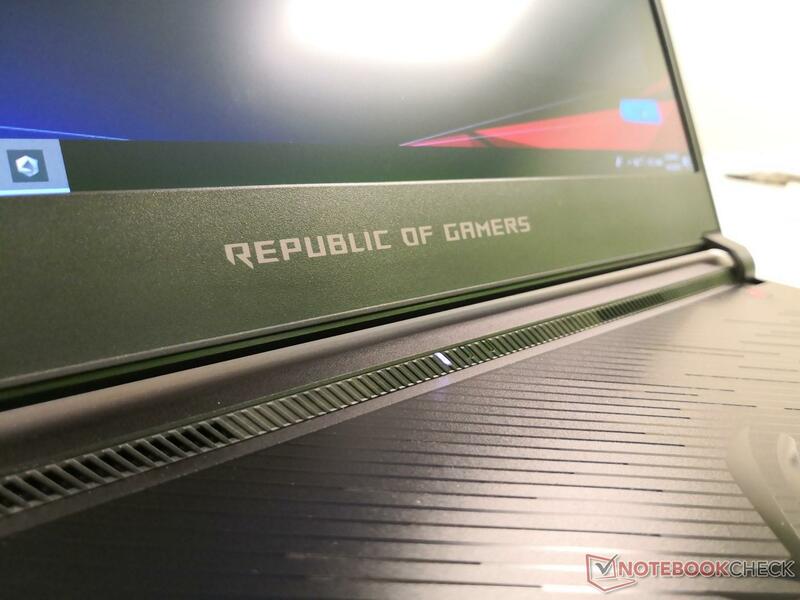 Asus first introduced narrow bezels to its ROG lineup via the mainstream GL504 series earlier this year, but it wasn't until today that the flagship Zephyrus series would receive the same treatment. 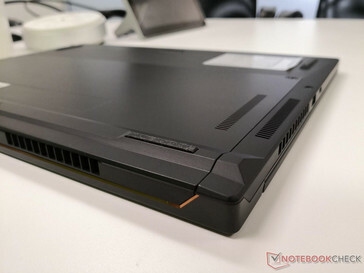 The resulting chassis is smaller, thinner (15.7 mm vs. 17.9 mm), and lighter (2.1 kg vs. 2.3 kg) than the original GX501 while incorporating the same AU Optronics 1080p/144 Hz IPS panel as found on the aforementioned GL504. Bezels are just 7.5 mm compared to the 15.7 mm bezels of the GX501. Webcam placement is preserved! 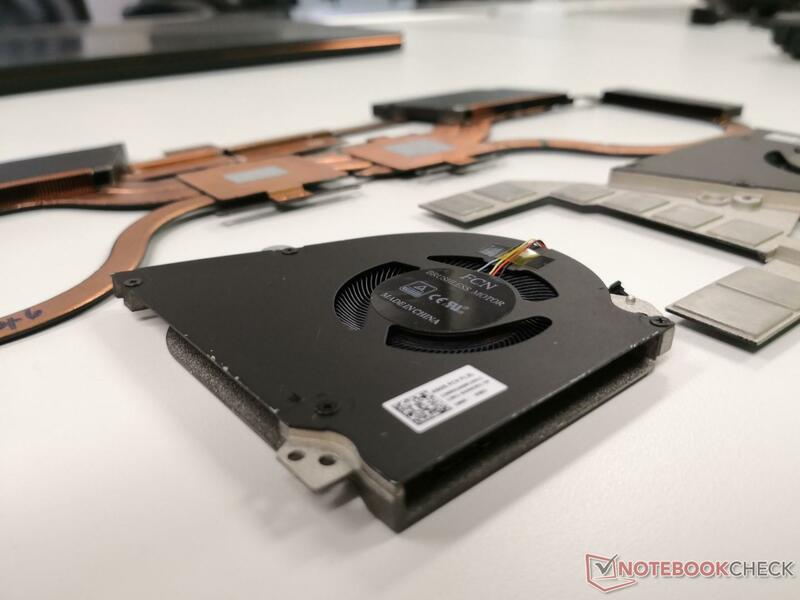 Internally, we are seeing more copper heat pipes, more heat sinks, and thinner twin fans with more fins (83 vs. 71) than the original that should all hopefully keep fan noise to a minimum despite the notable reduction in overall chassis size. Nonetheless, Asus says there will not be a GTX 1080 Max-Q option even though the original GX501 made its debut with the GPU. The GX531 will instead max out at the GTX 1070 Max-Q possibly due to the different thermal limitations between the GX501 and GX531 designs. 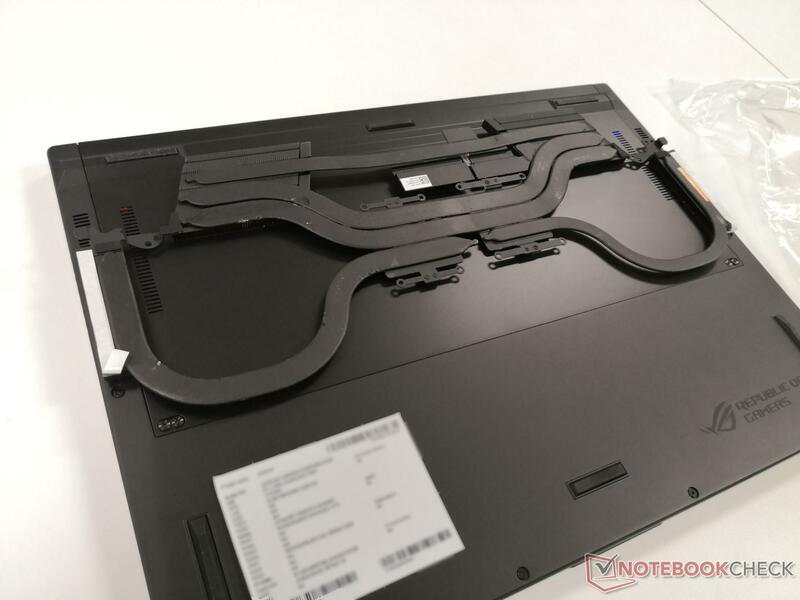 The Core i9-8950HK will not be an option as well even though it is available on the thinner XPS 15. 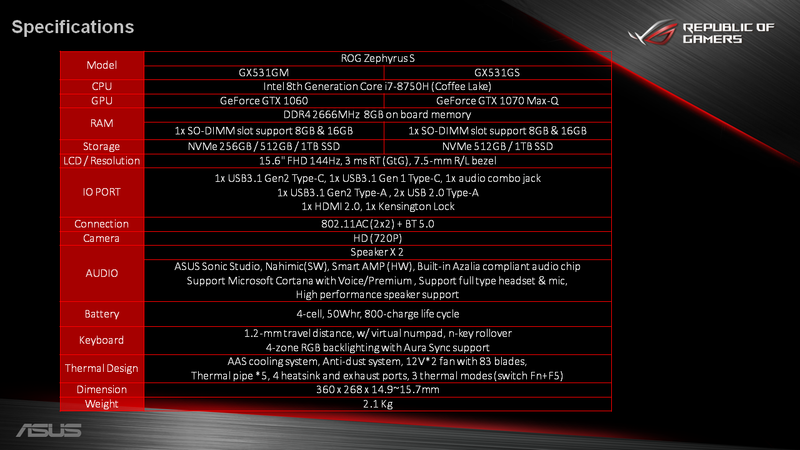 The core hardware features that defined the GX501 will all be returning on the GX531 for better or worse. 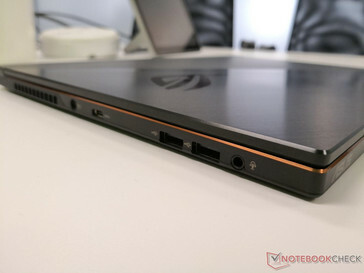 Thus, be prepared for the controversial "forward layout" keyboard, trackpad numpad, and angled bottom plate yet again. From our short time with the preview unit, the keyboard keys and smooth matte trackpad feel exactly the same as on the GX501 while the auto-lifting back plate is a tad bit stiffer. These peculiar-but-unique features are what allow the Zephyrus GX series to be so incredibly thin in the first place. If you didn't like them before, however, then you're not likely going to like them here, either. Asus is not yet ready to announce prices just yet, but they are promising a launch by this coming September. Here's hoping that it will come cheaper than the initial $2700 USD launch price of the original GX501. Both the GX531 and GL704 will make appearances at the Gamescom 2018 show floor next week. Fremont, Calif., August 16, 2018 — ASUS Republic of Gamers (ROG) today announced Zephyrus S (GX531), the latest model in the ROG Zephyrus series, which sets a new milestone for ultrathin gaming laptops. At a mere 14.95~15.75mm thin, Zephyrus S is 12% slimmer than the original Zephyrus (GX501). It’s equipped with the latest Intel® Core™ i7-8750H CPU and up to NVIDIA® GeForce® GTX 1070 Max-Q graphics, making it ideal for work or play. 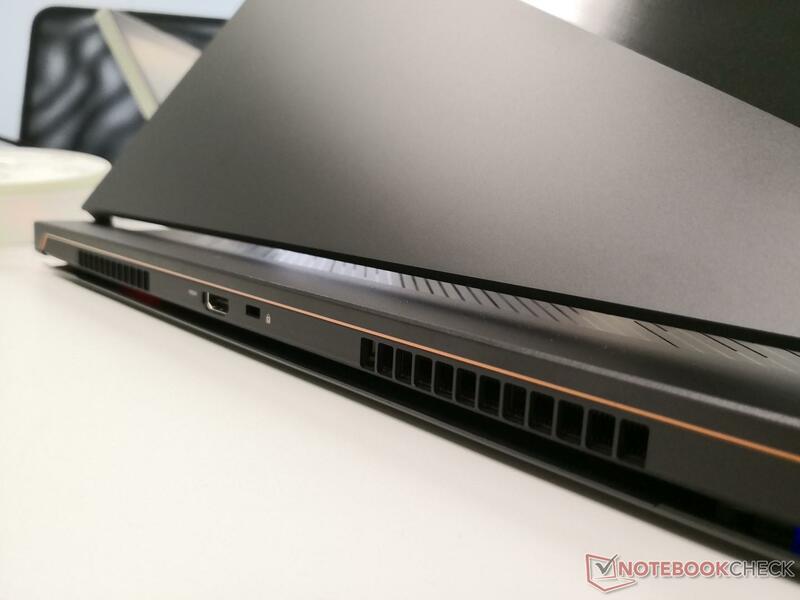 Super-narrow bezels squeeze a 15.6-inch display, with a 144Hz refresh rate and 3ms response time, into a 14.2-inch chassis. The all-metal chassis is strong enough to meet military-grade durability standards without compromising on design, with sleek lines and a premium finish. An advanced cooling system ensures optimal performance of all components, incorporating the proprietary Active Aerodynamic System (AAS) — a design and engineering hallmark of the Zephyrus series. One of the biggest challenges with creating such a thin laptop is making sure that the chassis strikes the best balance between strength and weight: Zephyrus S uses a mix of aluminum and magnesium alloys in its construction to achieve this balance. Each lid is meticulously machined from a solid block of aluminum. 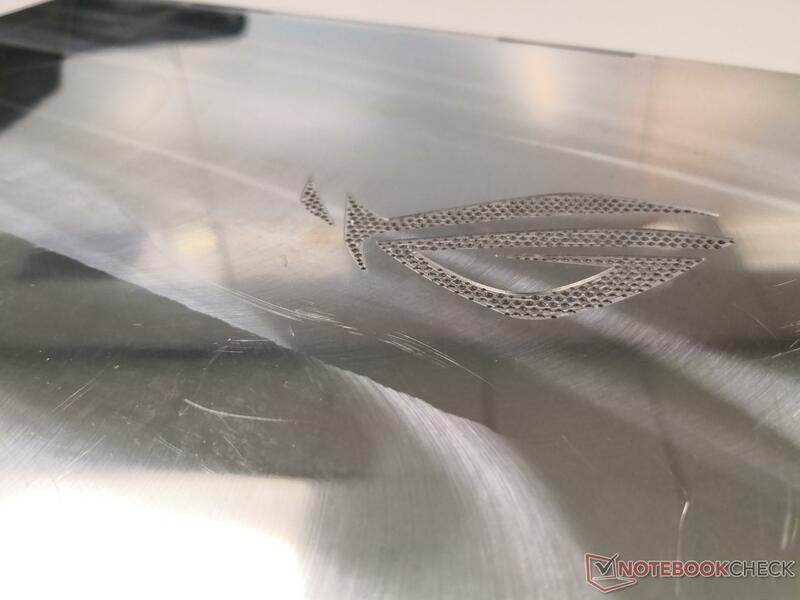 This precise CNC-milling process takes five tooling stages and nearly 72 minutes to carve out all the intricate details that ensure a perfect fit, creating a lid that is remarkably rigid, yet slim. 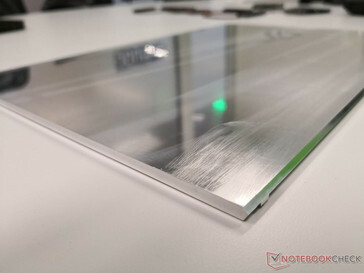 It also helps the Zephyrus S casing remain durable: engineering samples have already met military-grade durability standards for jolts and vibration. Contrasting finishes accentuate the lid design: two-stage anodizing accents the stealthy surfaces with copper highlights, while a surgical slash separates competing textures. Similar lines cut across the area above the keyboard, giving Zephyrus S a distinctive style. 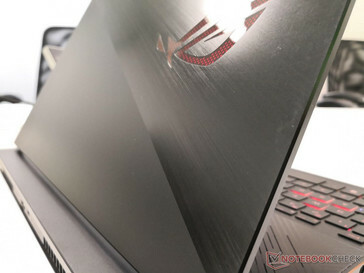 Scissor-door hinges keep a low profile until the laptop is opened, exposing the display and opening Zephyrus’ unique air intake. Super-narrow bezels allow the 15.6-inch display to be squeezed into a 14.2-inch chassis. This reduces the entire footprint, allowing the Zephyrus S to fit into tighter spaces than its predecessor. In addition, the slimmer bezels create a more immersive gaming experience. 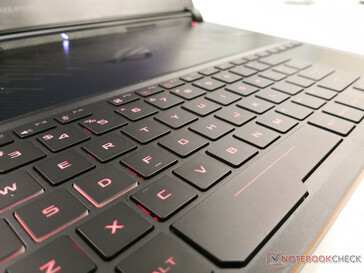 Since the original Zephyrus, ASUS has worked closely with panel maker AUO to ensure ROG laptops have the very best displays for gaming. The 120Hz panel on the initial version doubled the refresh rate of conventional displays, while Zephyrus S pushes the refresh rate to 144Hz, and reduces blurring and ghosting by lowering the response time to 3ms. Built for more than just speed, the IPS-type AHVA panel also has excellent image quality. It covers 100% of the sRGB color gamut, ensuring richness of color, and wide viewing angles keep the picture from washing out when viewed in split screen. 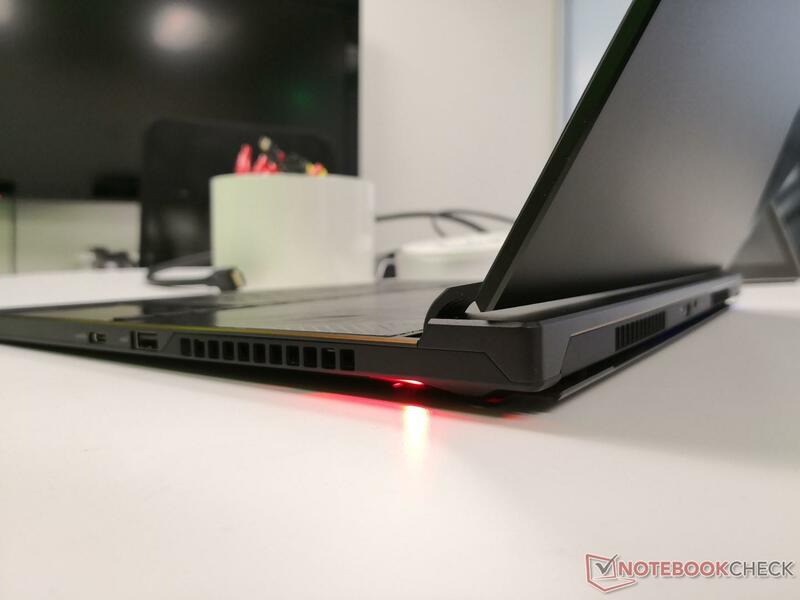 Cooling the critical components that comprise Zephyrus S is a difficult engineering feat due to the ultrathin design, but it's imperative to ensure peak performance. Because of this, ASUS and ROG thermal engineers developed the innovative Active Aerodynamic System (AAS) for the original Zephyrus. 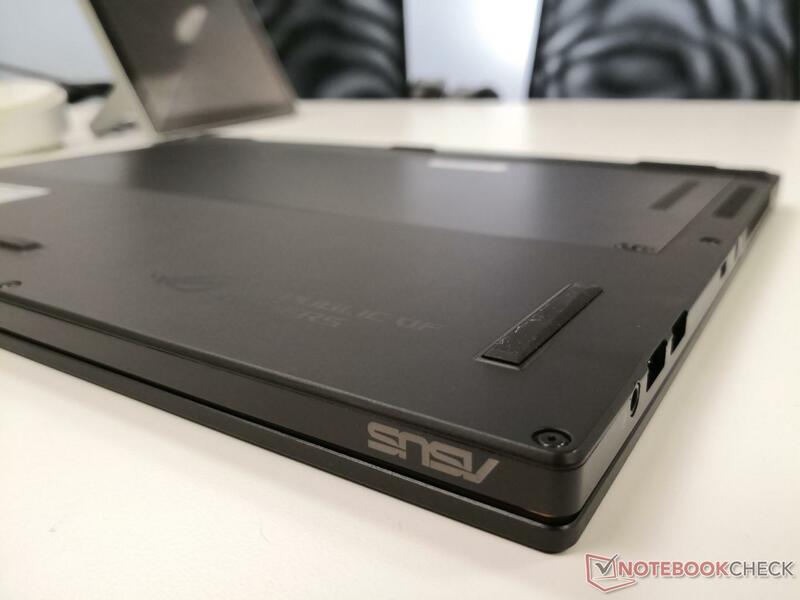 When the lid of the laptop is lifted, a special vent opens underneath the chassis to let the laptop draw in more cool air. 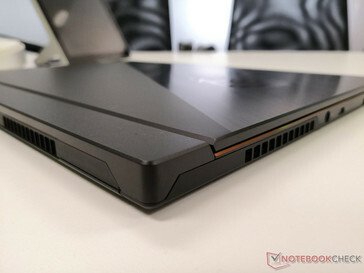 Similarly, the AAS intake measures 5mm on Zephyrus S, stretching across the entire back of the body to improve airflow by 22% compared to traditional designs. Additional airflow comes in from through the keyboard, and the keyboard’s forward layout makes more room for additional cooling throughout the system. 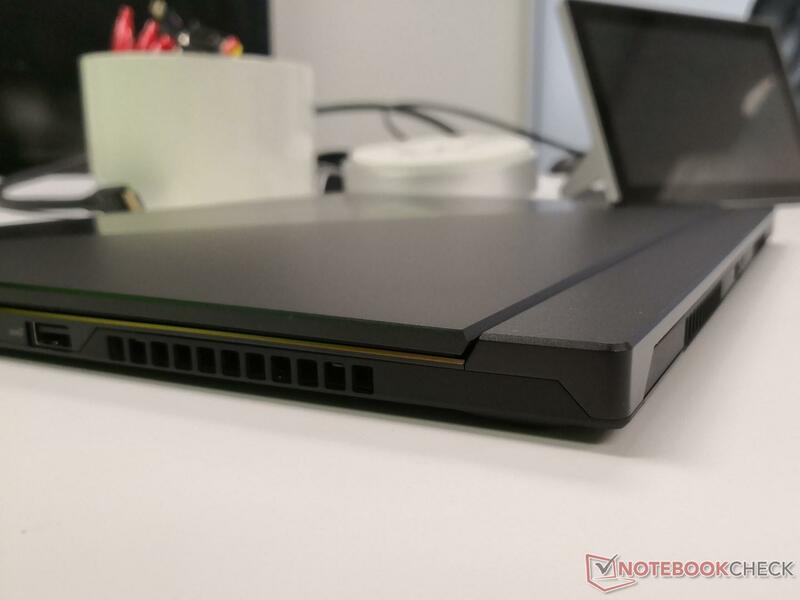 Within the chassis, the Zephyrus S contains five heat pipes that pull heat away from the CPU and GPU, and also the VRM circuitry that feeds them power. The CPU and GPU connect to both shared and dedicated heatsinks to ensure efficient cooling for any workload, and the power components stay under 80°C to improve long-term reliability. Thermal energy is channeled along the pipes to four heatsinks and exhaust vents at the rear corners, twice as many as in the first Zephyrus. 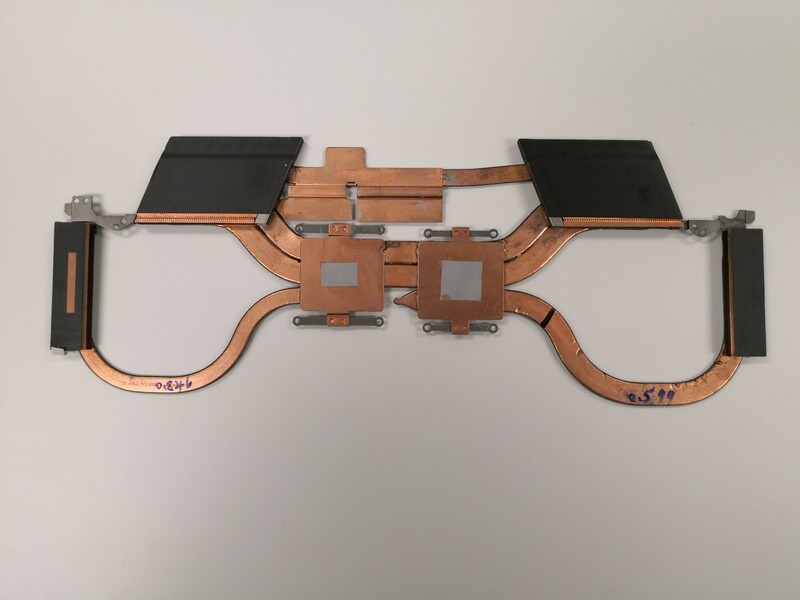 Keeping heatsinks free of dust and debris is key to preserving cooling performance, which is why the engineering team added self-cleaning fans to eject particles from the system through anti-dust tunnels. This special feature prevents accumulation on the fins to ensure consistent cooling and improve long-term stability. With 83 blades each, the dual 12V AeroAccelerator fans have 17% more blades than in the original Zephyrus. Airflow is also improved by the fan’s shaped aluminum shroud, which has curved edges and raised guides to help channel more air into the blades. Rotational speeds are determined by an intelligent algorithm tied to three profiles. Keyboard shortcuts allow users to switch between Overboost mode for maximum gaming performance, Silent mode for lower acoustics, and Balanced mode that maintains a level between the two. Integrated RGB lighting lets gamers customize Zephyrus S to their preference, or match the mood of the game currently being played. Four independent zones illuminate the keyboard, and additional LEDs create a subtle glow inside the AAS vent. Aura Sync coordinates colors and effects with compatible peripherals like the ROG Delta headset and Gladius II Origin mouse, making it easy to personalize the entire setup with just a few clicks. 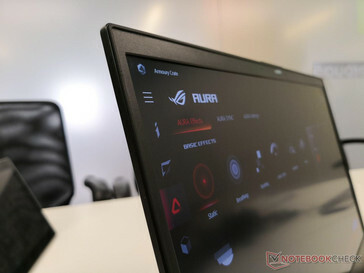 Third-party applications can harness the lighting through the Aura SDK, and ROG is working with developers to incorporate support in games and applications. What was previously ROG Game Center is now Armoury Crate, which unifies ROG hardware with a single utility that makes essential functions easily accessible. System settings and Aura Sync lighting are easily adjusted on the fly, or a user can define preferences for both — with up to four profiles — that make adjustments automatically when the selected titles load. Armoury Crate comes with a companion Mobile Dashboard for Android™ and iOS, and more capabilities are due in future updates. Zephyrus S includes an upgraded sound system. Dual front-facing speakers embedded in the hinge cover are powered by smart-amplifier technology that keeps the speakers within thermal and excursion limits, so volume can reach higher limits without distorting the output or damaging the cones. Sonic Studio III adds virtual surround-sound for deeper immersion with stereo headsets, and it features a new APO injection capability that extends speaker virtualization to a wider range of gear, including standard analog headphones along with USB headsets, external DACs, and VR devices. The Intel Core i7-8750H CPU in Zephyrus S is backed by fast DDR4 2666MHz memory and NVMe® storage, while 802.11ac Wave 2 Wi-Fi connects to compatible wireless networks at greater-than-gigabit speeds . USB 3.1 Gen 2 Type-C™ (USB-C™) and full-size HDMI 2.0 ports support desktop monitors and big-screen TVs, allowing users to connect dual auxiliary displays. More USB ports are ready for essential gaming peripherals and ubiquitous external storage, and there’s a USB 3.1 Gen 2 Type-A port offering additional bandwidth for compatible devices. 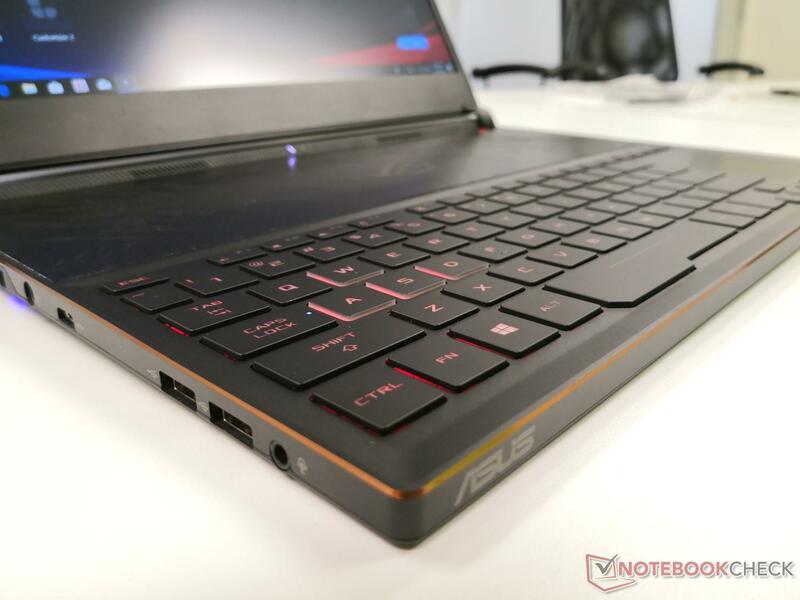 Zephyrus S is capable of heavy workloads in the same way it handles exhaustive gameplay. The latest 8th Generation Intel Core i7-8750H processor offers six cores and 12 threads of parallel processing power that can easily handle demanding work like compiling, rendering, and content creation. 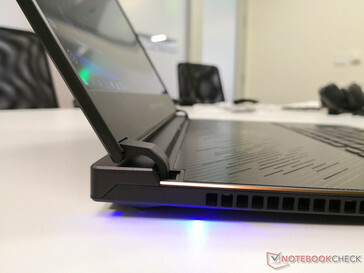 The extra cores also provide headroom for multitasking allowing for a mix of gaming with live-streaming, recording, and other tasks. GeForce 10-series graphics — up to the GTX 1070 with Max-Q Design — boost performance in apps that support GPU acceleration. 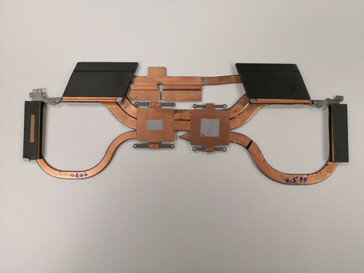 More importantly, the discrete graphics chip is capable of pumping out triple-digit frame rates in popular games, allowing for optimal use of the display.